This week also the edges on Randje per week 2015 challenge took most of the working time. Last year this challenge was worked differently.-The edges were started when they were posted on the blog on every Saturday. They were completed continuously at the end of the year. This year the way these edges are getting longer to work, it affects the working of other projects. From last week, this thought has entered the mind and wouldn’t go away. May be for the rest of the challenge, I may follow the same idea of last year. The links for these two edges are here. 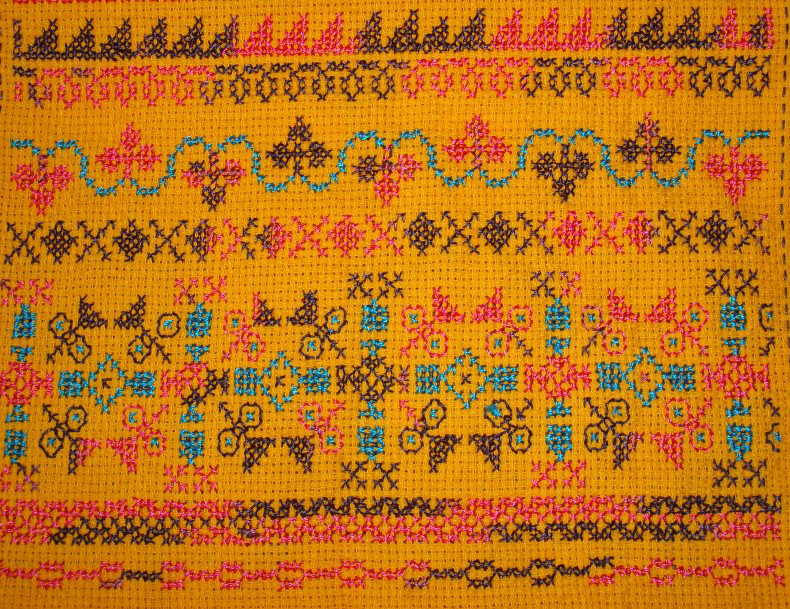 Drawing the borders from earlier drawn kutchwork borders appears to inspire ideas for more combinations. 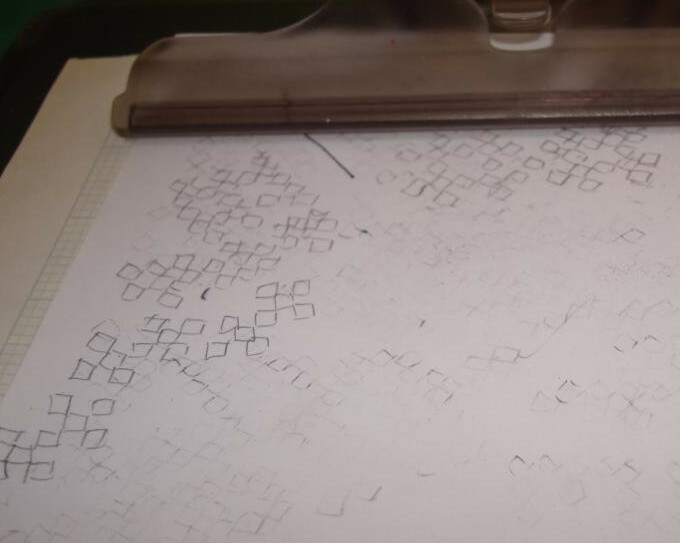 These are drawn on paper to be copied later. Another colour thread was started on the ethnic Indian borders. Along with the randjes and slow movement on these borders, it seems as if the progress during the week was not much. This whole week I have been working on Randje per week 2015 cross stitch challenge. The link for this site is here. The borders were big, so were time consuming. Border# 81 was the last one on the third sampler. This year the samplers are not long as it was in 2014. it is an ideal way to work on more colour options. Starting with the new colour scheme the border # 82. This week’s borders are also time consuming. Borders 83,84. After working on these borders till today, the embroidery on blue tunic was not even noticed. No progress report there. 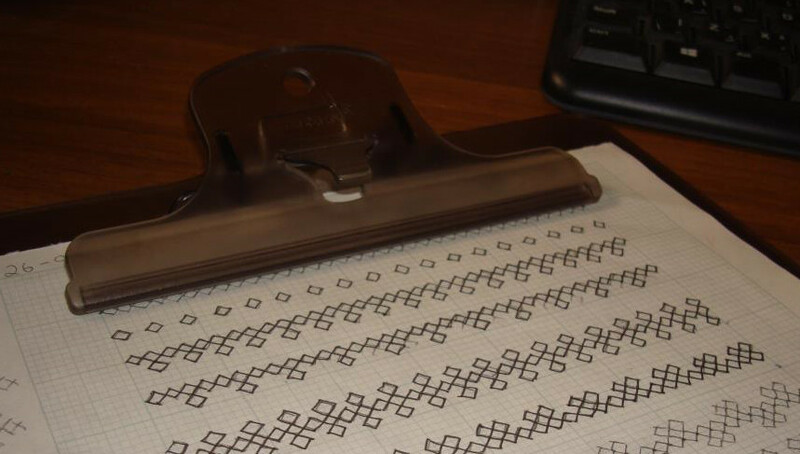 In the evenings some more ideas of kutch borders were drawn on centimeter graph sheets. 3 pages of small borders are completed. I went to Chennai, India for two weeks. It was a whirlwind trip. A wonderful combination of spiritual, religious, social and shopping. The embroidery was not even looked at during this period. After returning to Muscat, first started with the Randje per week challenge 2015 catching up. Shopping included some handloom fabrics for tunics, of course! 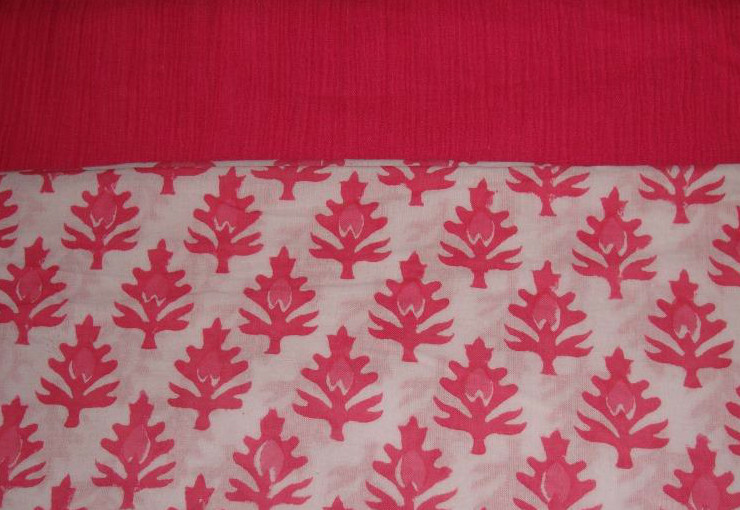 This tunic is printed soft cotton, with cotton crepe salwar. 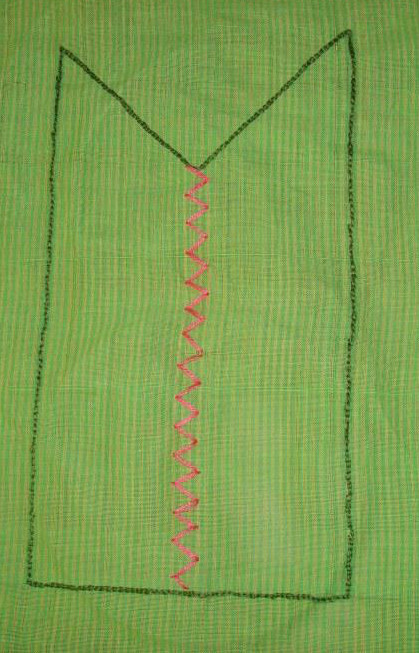 With an urge to use a contrast fabric as yoke for this tunic, a striped mangalagiri green fabric was chosen. The idea is to use the stripes as base for linear stitches, started with zigzag back stitch and chain stitch outline. An idea to revive the kutchwork border designs which were drawn in the year 1992 has created another activity now. 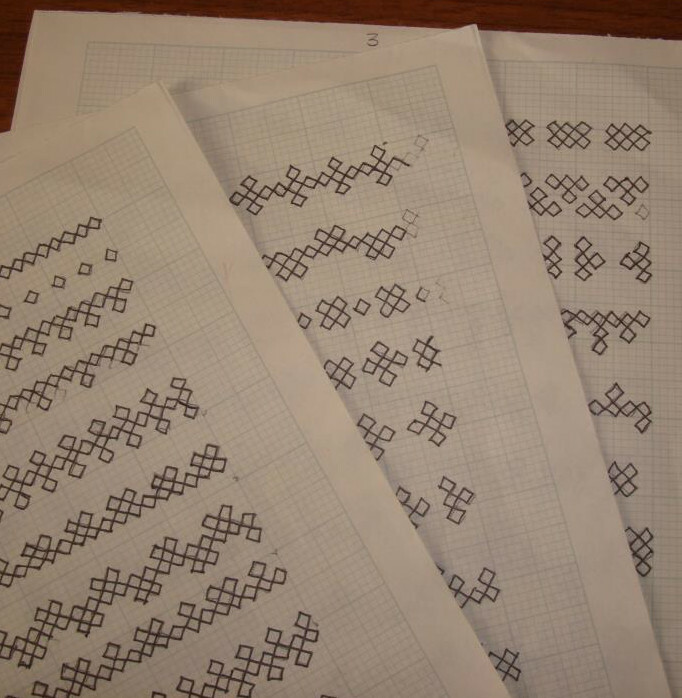 The process of coping these designs [the papers became old] started 3 days ago.